​This South American adventure is big on sights – vineyards cascading down Chile's dramatic mountain slopes, drenching mists at Argentina's Iguaçú Falls and twinkling coral sand beaches in Brazil. 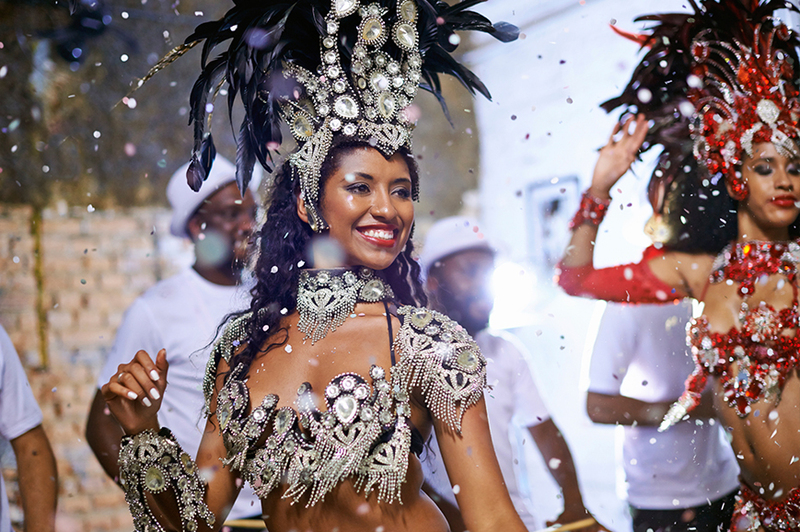 The finale of this unforgettable holiday comes in the form of the 'greatest party on earth' – the spectacular Rio Carnival Winner's Parade. Located in the centre of Providencia, Santiago, and within close proximity to an abundance of restaurants and bars and less than 10 minutes to the biggest mall in Latin America, the Torremayor Providencia is situated in an ideal location. Rooms have a modern decor with facilities including; a minibar, climate control and Wi-Fi. The Hotel also has a rooftop pool which boasts fantastic views of the city. This 5-star resort is situated in the centre of Mendoza, surrounded by great restaurants, wine bars and shops. Rooms feature luxury French furniture, dark wood floors and marble bathrooms. Sheraton Libertador Hotel, located in the centre of Buenos Aires, welcomes its guests to one of the largest cosmopolitan cities in Latin America and provides easy access to its varied commercial, financial, cultural and entertainment options.<br /><br />This luxurious 5–star hotel is just in the centre of all the action. It is located in close proximity to The Obelisco, the most famous iconic and historical monument of Buenos Aires, and Plaza Mayo, the main square of central Buenos Aires, which has always been the focal point of its political life with several major landmarks, located around the Plaza. However, guests who are more interested in shopping rather than sightseeing will not feel lonely here, as famous Florida Pedestrian Street, full of lovely shops, is just 2 blocks away.<br /><br />However, Sheraton Libertador Hotel undoubtedly is a jewel itself and a pleasure to stay in. Rooms are styled in tan hues with sweet sleeper king or 2 single beds and further benefit from air conditioning, flat-screen satellite TVs, mini bar, safe and dressing room. Stunning views of the city towers add intimate and inviting atmosphere to the rooms, which is further enhanced by marble baths, where guests can sit back and relax from the fast pace of the city.<br /><br />For those seeking additional relaxation this fabulous hotel offer numerous services, including sun deck, sauna, spa facilities and massage treatments. Although for those who still have energy there is an indoor heated pool and fitness centre with sliding-glass-pane ceiling providing magnificent views of Buenos Aires. Yet, no experience can be complete without a visit to La Pergola Restaurant or Maximilian Lobby Bar and Restaurant. While La Pergola Restaurant with its variety of buffet dishes is an ultimate choice for breakfast or lunch, superb cocktails and a la carte menu, available for lunch and dinner, can be found in Maximilian Lobby Bar and Restaurant. The Panoramic Grand is located on a hill which overlooks the Three Frontier Landmark, a site that marks the meeting of Brazil, Argentina and Paraguay. The hotel boasts 5 restaurants and a panoramic spa. The 4-star Rio Othon Palace is ideally located on Copacabana Beach, a short distance from the centre of Rio. Hotel facilities include a restaurant, bar and a swimming pool. Bedrooms have private facilities, mini-bar, hairdryer, safe, air-conditioning and a TV. Pre-bookable excursions: Valparaiso and Viña del Mar, Iguaçú Falls from the Brazilian side and Sugarloaf Mountain can be pre-booked as a package from just £290 per person. Today you'll depart on your scheduled flight to Santiago, via Sao Paulo. After arriving in Santiago, the capital of Chile, you'll transfer to your hotel for a two-night stay. The city of Santiago lies in a lovely setting beneath the majestic Andes and is a city of wide boulevards and delightful parks and gardens. This afternoon we've included a city tour, allowing you to see the Presidential Palace and the residential districts of Las Condes and Providencia, famous for their beautiful homes. You'll finish on San Cristobal Hill, where you'll enjoy a spectacular view of the foothills of the snow-capped Andes. Today you'll be free to explore the city further, or you can join our pre-bookable optional excursion. You'll journey through dramatic mountain ranges and the colourful citrus groves of the region to a wine-tasting at the Indomita vineyard, where award-winning wines including pinot noir and sauvignon blanc are produced. You'll travel on to Viña del Mar, the 'Garden City', for a tour which will introduce you to sights such as the unique Flower Clock, palm-fringed avenues, the grand façade of the Fine Arts Museum, the Municipal Casino and the beautiful Rioja Palace. The tour continues to the coastal city of Valparaíso, where you'll enjoy lunch before seeing more of the city. You'll follow the only road, Alemania Avenue, to traverse the famous hills on which the city is built, and enjoy panoramic views of the impressive port. You will visit La Sebastian, one of the former homes of the laureate Nobel Prize-winning poet Pablo Neruda, and see Fisherman's Wharf, Plaza Sotomayor, and the Naval Academy. Depart Santiago by coach for the drive to the border with Argentina, a journey over the Andes offering views of Mount Aconcagua. At 23,000ft, this is the highest peak in the Americas. You'll retrace the steps of Native Indians, Incas and the first Spanish settlers. After crossing the border into Argentina you'll continue to Mendoza, where we have arranged a two-night stay. Mendoza lies at the foot of the Andes, and is Argentina's wine capital, producing more than 60% of the country's wines. Enjoy an included tour this morning. In the afternoon you'll have the option to visit one of the area's many vineyards, where you can enjoy a tasting. You'll discover the wines produced in Argentina are very different to those you may have tried in Chile, meaning you will get to taste the very best of South America. After transferring to the airport, you'll fly to Buenos Aires, the capital of Argentina. On arrival, you will be transferred to your hotel for a three-night stay. This afternoon we include a city tour of Buenos Aires, dubbed the 'Paris of the Americas.' Highlights include visits to Plaza de Mayo, where the Casa Rosada (Government House) is situated. Also in the square is the Cathedral of Buenos Aires where the tomb of General San Martin, the hero and liberator of Argentina, is located. You will also visit the La Boca District, renowned for its brightly painted houses, and now an artists' colony. A visit will be made to the Recoleta cemetery, famous for its beautiful family tombs and as the burial place of Eva Peron. Today you can take an optional full-day tour to the heart of Argentina's Pampas, to experience a typical 'estancia' (ranch). You will see the gauchos displaying their superb horsemanship skills, and enjoy a typical Argentine barbecue. Today is free for you to spend as you wish. Alternatively, why not join our optional morning excursion on the Tigre and Parana Delta – a labyrinth of magnificent waterways fed by the Parana River. Explore this maze of riverside villas, islands, Victorian docks and pretty, English-style gardens from the comfort of a traditional riverboat. This evening you can enjoy an optional dinner and tango show. You'll transfer to the airport for your flight to Iguaçú Falls. On arrival, transfer to your hotel on the Argentinian side for a two-night stay. This afternoon, there will be time to relax by the pool at your hotel. Today, we include a full-day excursion into the Iguaçú National Park, taking the small train that leads through the jungle to the Argentinian falls. Situated at the meeting point of three countries (Brazil, Paraguay and Argentina), the falls are one of the world's largest natural wonders. Higher than Niagara, wider than Victoria, Iguaçú consists of 275 separate falls. 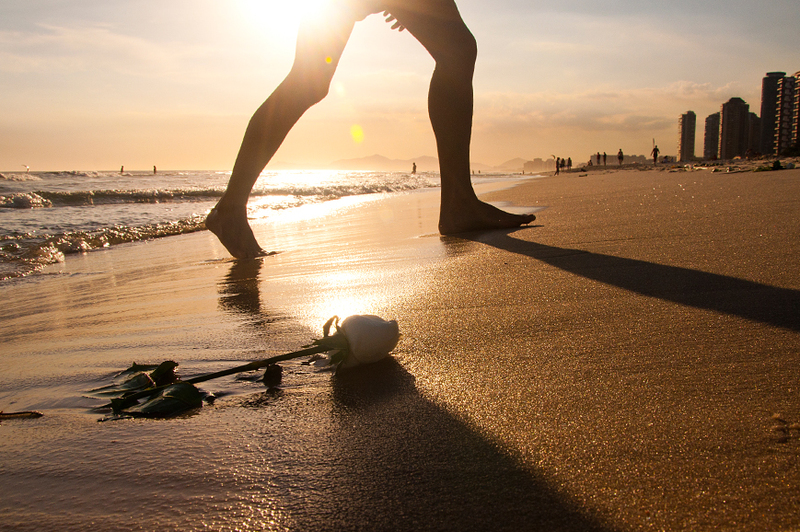 Enjoy a free morning before your flight to Rio. Alternatively, join an optional pre-bookable excursion to the Brazilian side of the Falls. From this side, it is possible to see the full panorama of the falls and also to walk across the famous platform virtually into the Devils Throat, the most famous of the individual falls. Early this afternoon, you'll transfer to the airport for your flight to Rio de Janeiro, where you'll stay for two nights. Brazil, the world's fifth largest country, is a land of warm sun, bright colours, irresistible rhythms, unsurpassed natural beauty and captivating contrasts, and the city of Rio de Janeiro is unique – simply bursting with energy, excitement and entertainment. It is beautifully situated beneath Sugar Loaf Mountain, and blessed with magnificent, world-famous beaches such as Copacabana and Ipanema. To introduce you to Rio, you'll take an included visit to Corcovado, home to the famous statue of Christ. To reach the statue it is necessary to ascend in a small cog railway which winds up the mountain for superb views over Rio and Sugar Loaf Mountain. The afternoon is free for you to explore Rio further, or you can join our pre-bookable optional excursion to the top of Sugar Loaf Mountain via cable car. This evening you will enjoy the 'greatest party on earth'. The Winner's Parade is the last event of the annual Rio Carnival. Take your reserved seats in the Sambadromo and prepare to be amazed as the five best samba schools parade in front of you. The music, costumes and floats are simply spectacular and the atmosphere is one of fun, frivolity and celebration. There is time to explore Rio further before you transfer to the airport for your flight to the UK, via Sao Paulo.